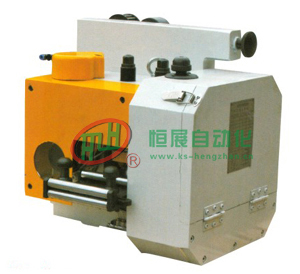 Designed for high speed processing and high precision feeding.feed length change is achieved by alternation of 4 gears. 4 gears,pneumatic material keep and release device. Material end sensing photoelectric switch,extended material support.